On March 13, India’s men’s cricket team made history. It was the first time they had ever lost a series after being 2-0 up. It was also their first ODI tournament loss at home since October 2015, when South Africa beat them at the Wankhede Stadium. 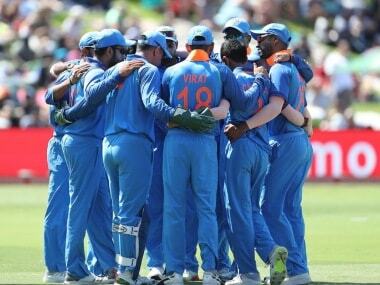 India are second in the ICC ODI rankings table. No team wants to make this kind of history in its last assignment before the World Cup. 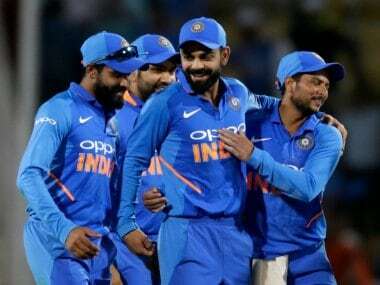 The fact that the opposition wasn’t even at full strength, was placed sixth in the ICC rankings, and had won only four out of its last 20 one-day international matches before the start of the series made the loss more embarrassing for India and exposed several worries. The first of these is a problem that has been around since the last World Cup: India’s weak middle-order. The team’s overdependence on the top three — Rohit Sharma, Shikhar Dhawan, and Virat Kohli — has cost India in the past, and this series was no exception. The so-called ‘No. 4’ conundrum raised its head once again despite India trying close to a dozen players in that position over the last five years. 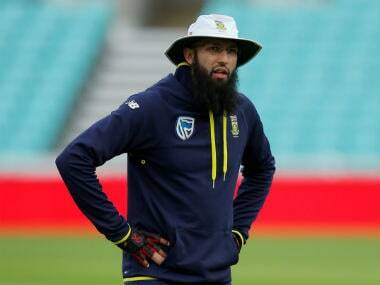 However, apart from this problem, that the team has simply learned to live with, the series loss to Australia hasn’t exposed any weaknesses that could cost it dear at the World Cup. 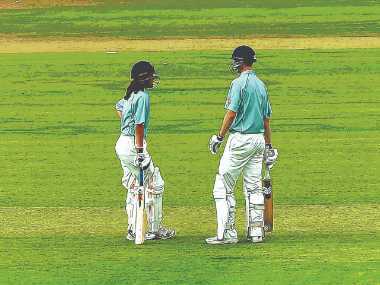 The reason for this is simple: cricket is a rare sport in which a World Cup is not the biggest challenge on offer, but merely the biggest event. A bilateral series against a competitive opposition is actually a tougher prospect than a multi-nation tournament like the World Cup, in which plenty of weak teams participate. The format of the 2019 edition, especially, is loaded heavily in favour of the top-ranked teams, as they get nine league games to prove their mettle and qualify for the semi-finals. Such a long round-robin stage doesn’t leave much room for upsets either. India’s biggest strength in the last two years has been its bowling, more specifically, spin bowling. 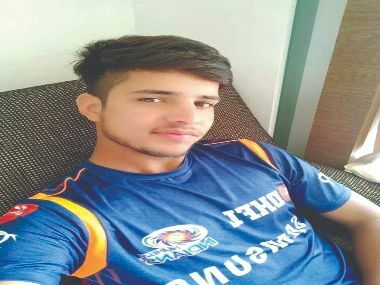 Kuldeep Yadav and Yuzvendra Chahal have risen through the ranks and have become indispensable. Both have had a huge impact on the team’s fortunes and have earned spots in the top 10 of the ICC rankings. Besides them, Kedar Jadhav has been an extremely effective part-time spinner who has bamboozled rivals with his strange action and low- release points. In a bilateral series, there is often a chance that the opposition will unravel a part-timer like Jadhav after the first couple of games. There is also a chance that they will learn to negotiate Kuldeep and Chahal for a few runs without giving them too many wickets. But this is extremely difficult to do in a multi-nation tournament when one has to prepare for nine opponents, and every game is against a different team. Teams cannot afford to focus too much on one challenger’s weaknesses. This is part of the reason why India has had so much success in ICC events since the 2011 World Cup. We have lost only four of our last 28 games in ICC tournaments, and two of those losses came in the 2017 Champions Trophy. This works in India’s favour at the upcoming World Cup as well. Moreover, India’s ODI record since the beginning of 2017 is surprising, as it has done considerably better away from home than at home. In this time, the team’s win percentage at home is 60, but it is 77 abroad. The bowling and batting averages are also much better away from home, proving that the team is much better-suited to overseas conditions than Indian ones. Several factors could be responsible for this. Firstly, dew has rarely been a factor when India has been on the road, whereas the issue repeatedly comes up at home. The fourth ODI against Australia in Mohali is an example: dew effectively cost India the match and the series. Dew is also unlikely to be a factor in the World Cup in England since most of India’s matches are day games. This will make Chahal and Kuldeep more potent. Secondly, India’s batting has repeatedly come up short in ODIs on dry surfaces where the ball grips and turns, and such conditions are generally seen in India, but rarely in England. India’s middle-order — including the old warhorse MS Dhoni — finds such pitches tough to score quickly, or even rotate strike on. This is something they will not have to worry about in the World Cup, where the ball is likely to come on to the bat and the pace and bounce will be true. So, while India has issues to work out when playing bilateral series at home, the loss to Australia is unlikely to have much of an impact on its World Cup campaign.